Announcing our 2017 Wogrammer Journalism Fellowship Recipients, Shreya Chaganti​ & Rona Wang!​ We’re really excited to have you both on board! See below read more about our recipients. 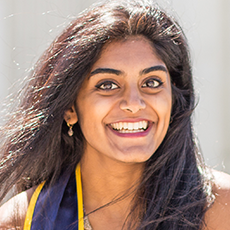 Shreya is currently a Computer Science and Cognitive Science major at UC Berkeley, with a minor in Creative Writing. She grew up in Silicon Valley and was surrounded by engineers her whole life. She is so glad that wogrammer is highlighting success stories of women engineers, because she knows the effect that having successful role models to look up to and emulate can have. Shreya has a wide range of interests and is always trying to learn new skills, even if she is terrible at them. Things she holds in high esteem include brunch, good books, and Netflix. In her free time she can be found working on OliveBetter, a tea company she cofounded to help alleviate the effects of the Greek refugee crisis. She loves traveling and meeting new people and hopes that her future holds a lot more of both. 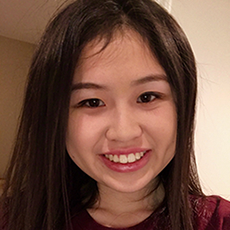 Rona Wang is a rising sophomore at the Massachusetts Institute of Technology, double-majoring in mathematics with computer science and writing. She is dedicated to giving voices to those who are often silenced. She has been nationally recognized for her work in developing computer science programs for low-income students. Her writing has been published in the Los Angeles Times and The Best Teen Writing. In her free time, she is a cat video connoisseur. Breaking stereotypes one story at a time.